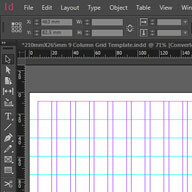 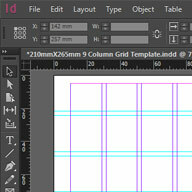 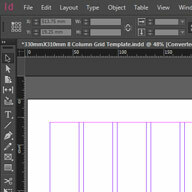 Download this free InDesign A4 12 column grid template. 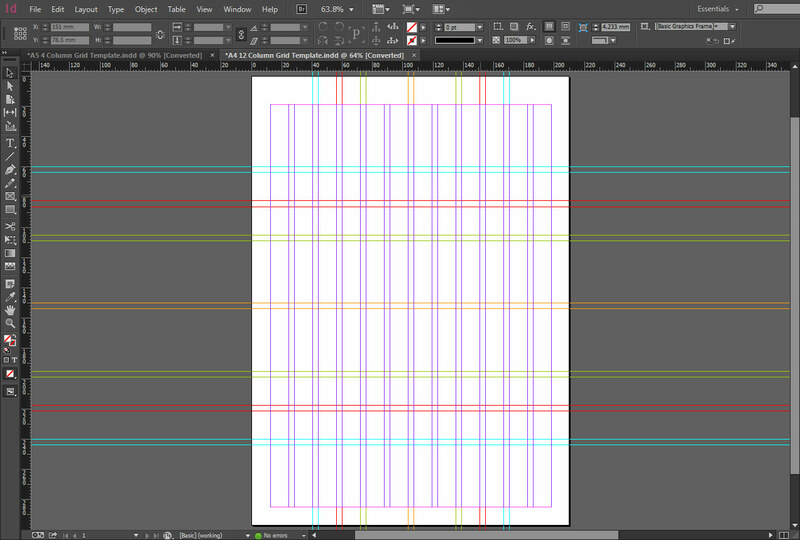 This complex grid system delivers infinite options in page template layout and design, coloured guides allow you to easily divide the page into equally balanced portions so you can retain a consistent look and feel throughout your document. 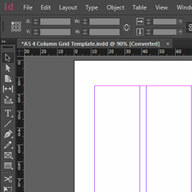 This template is perfect for complex page layouts such as magazines, brochures and catalogues.